Car Shows across the country are exciting to attend and are a great way to enjoy with family and friends. The amazing amount of planning and behind the scenes work to coordinate is a tremendous undertaking! 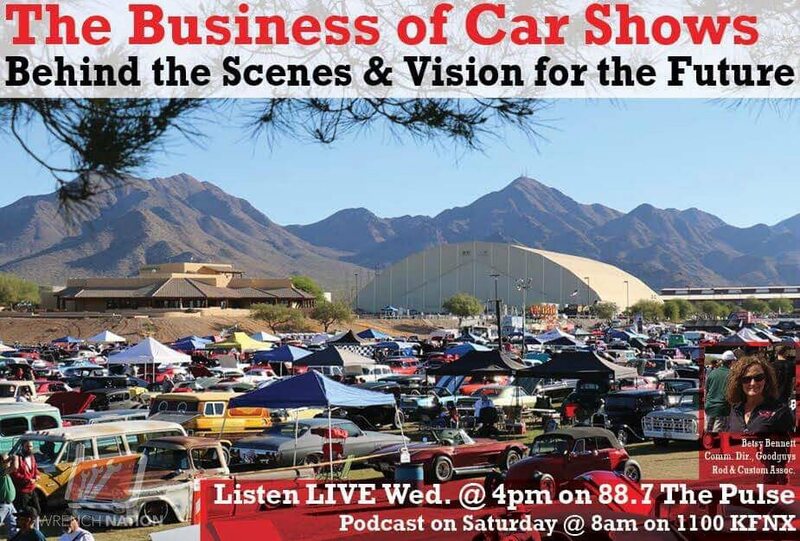 On this week’s show we are privileged to have special guest Betsy Bennett, veteran communications director of one of the premier car shows across the country, GoodGuys Rod & Custom!